The final page of Ish 5, coming up will be the epilogue, sewing up some stuff and opening up others. After that we have the summer swimsuit spectacular, leading us in to the next issue, which will have a more focused story but have huge implications for the world of HOTWAB. I'm also working on some short comics which will fit on to Instagram to try and get my work out on other platforms. Thank you to all who have been very supportive towards my work, it really makes the difference! 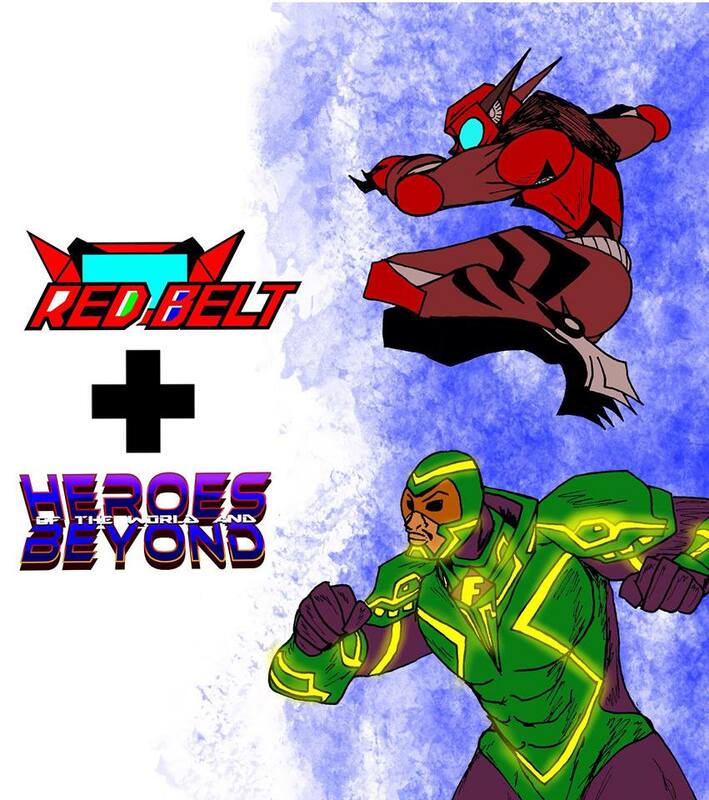 Also say hello to James who has joined the Collective of Heroes with his comic Red Belt and produced this art with his character Red Tiger running in to battle with our man Force-Ar! Sometimes action puts you in the mood for well, action. Now Im wondering if she's having a bit of buyers regret.